There have been 267 images uploaded to this topic. (View topic image gallery). There are 510 posts in this topic. You are on page 1 of 11. So figured this game deserves a club as it is truly under appreciated. Casino run is such a rush. I'm in! 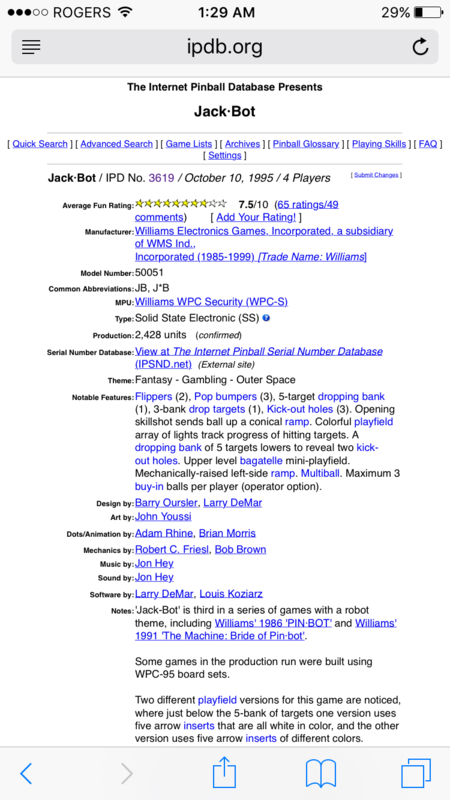 I love my Jackbot it's one of the most brutal late WPC games. Just shopped mine out a couple months ago, and damn, it's fun! 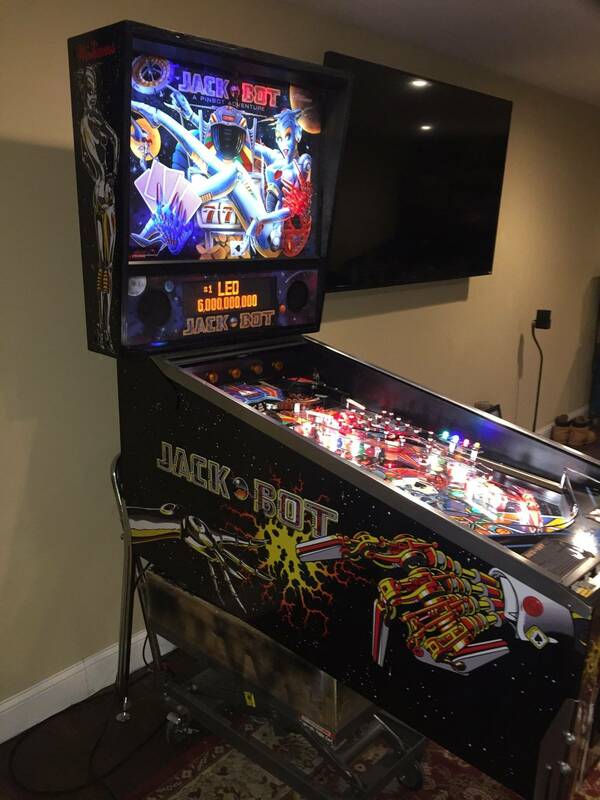 Welp, I own a Jack-Bot so I guess I am a member as well right!? Mine technically came from an arcade, but must of never been plugged in or on the floor. 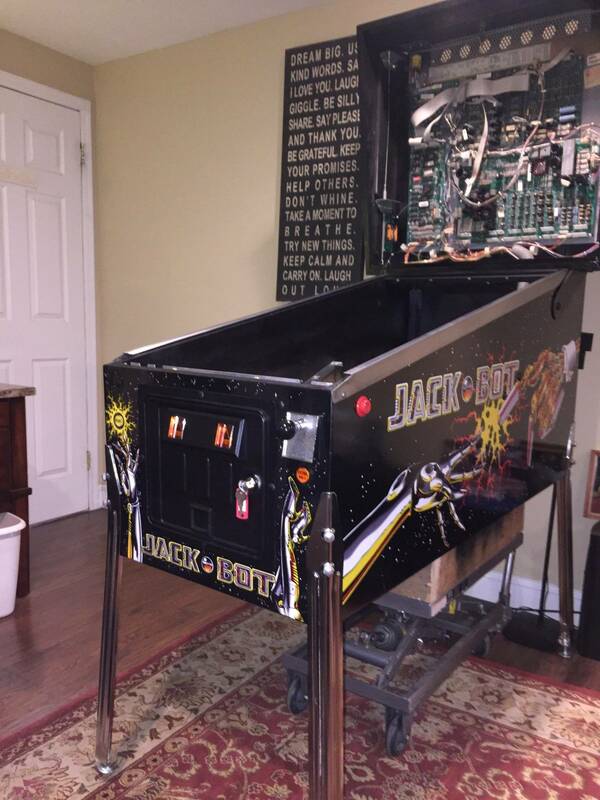 Like all other Jack-Bots it is pristine compared to all other routed machines. 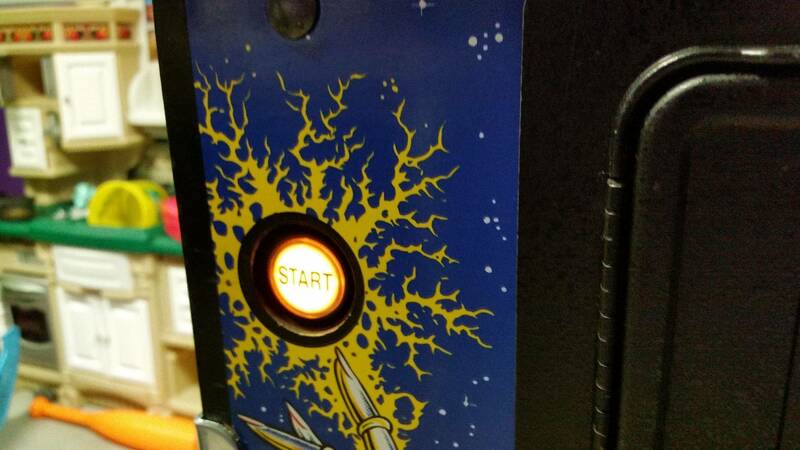 Fun simple game and I just dropped in a kit by PinballBulbs and it is like and entirely new machine. 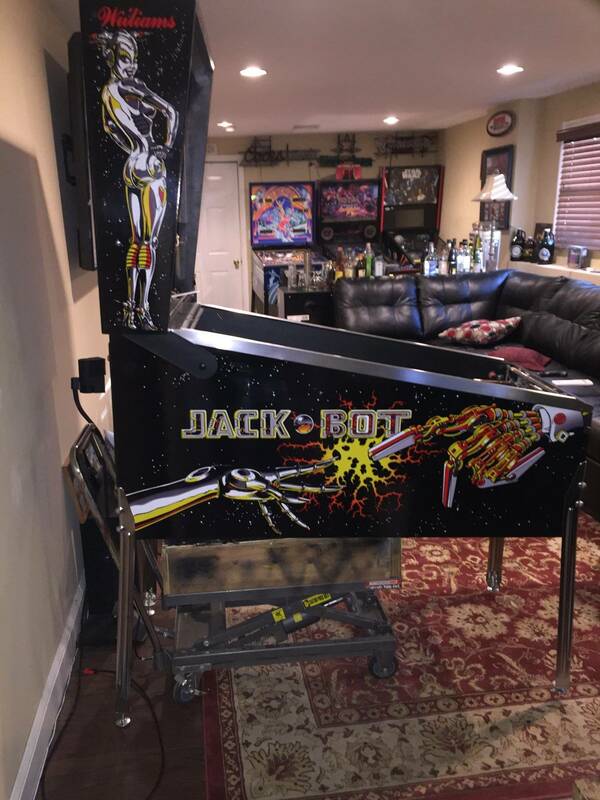 Theres a nice Jackbot for $1700 in the marketplace now. If it were close to me I would buy it in a heartbeat. You can't touch that price on the west coast! Whats up with all you Va people selling nice pis dirt cheap? I am jealous of people in the east, great deals out there. Out here all you find is jacked up prices! Oh, and for the record, I've got very early roms that aren't listed on IPDB if anyone's interested. Believe they are 1.0A, and earliest IPDB has is 1.0B. You can't even bop out bombs during casino run on mine. I'll be ripping them soon. 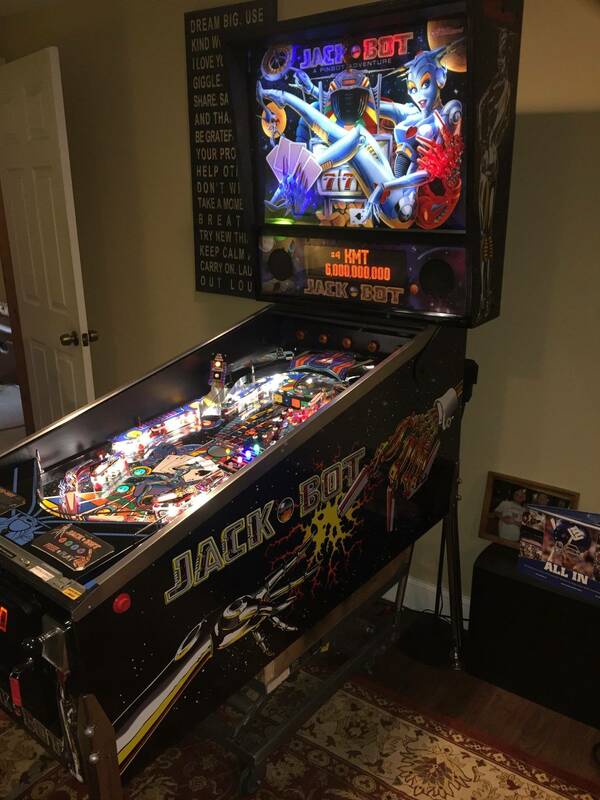 BTW, if anyone is interested, I took advantage of PinballBulbs Fathers Day sale. 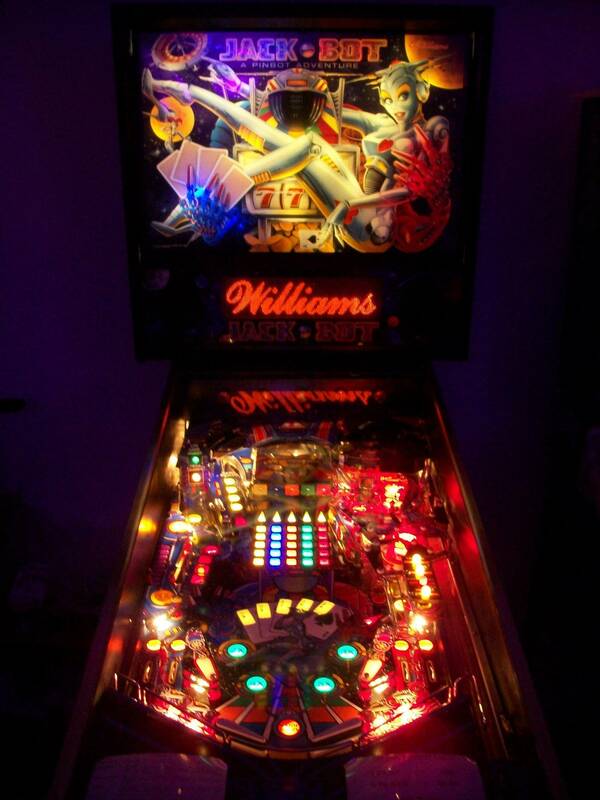 What can I say, going from incandescent to pure leds makes it look and play like an entirely different machine. I would recommend their kit. I'm not even using the led strips, and only installed 1 of the "spotlights" and find it super bright as is. I'm leaving Pin-Bot old school bulbs. 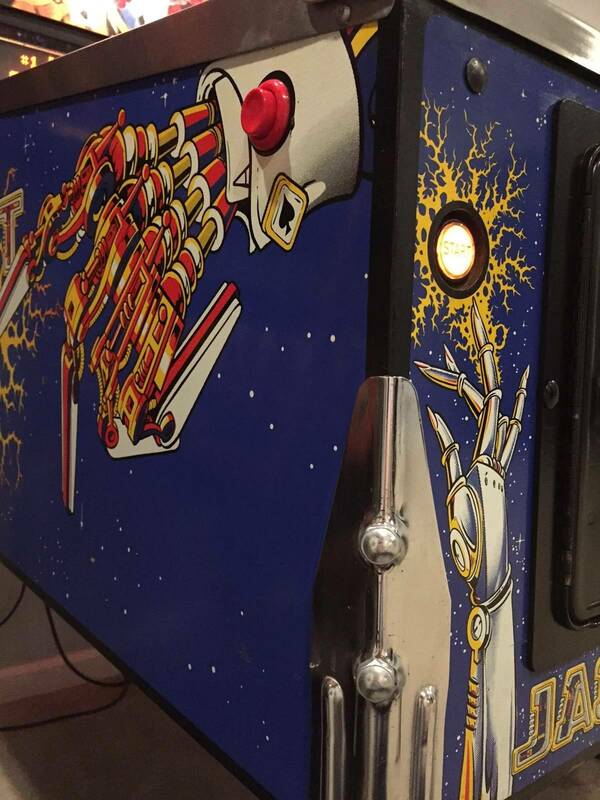 I like the dark and gritty feel on the older machine, but Jack-Bot definitely deserves an led treatment. I got one for 1 year and a half, I have to say I enjoy that game. Eventhough I have regular breakdown since I got it (probably played lots of game, I think mine got 30 or 35 thousands games played), I always find a way to fix it or get it fix. I like the playflied (good condition) and game play (basic, simple) and I plan to keep it for some time, any way this game is underated in France, and has very limited value. 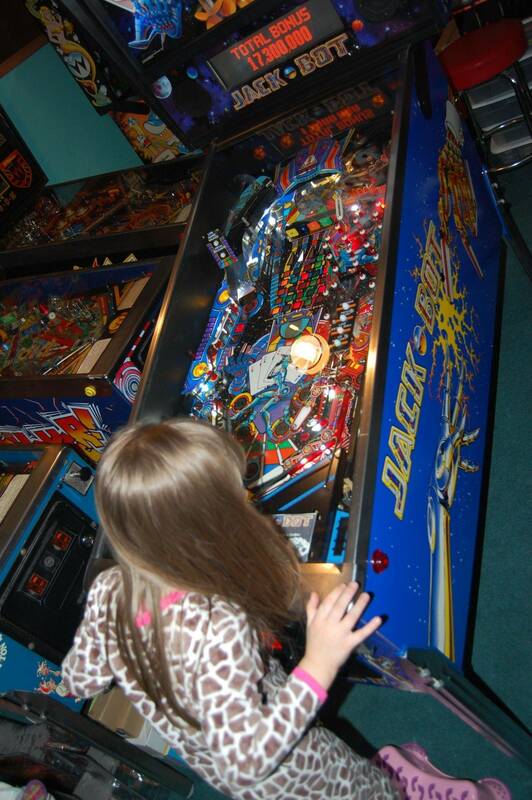 I would not mind to get him a friend, so I can still play pinball when one is down. Is there a way to reset the high scores on this game? I can reset the casino run, but i dont see a way to reset the HSTD. I think I zero them out on the settings, but i guess it doesnt stick. Were some batches of JackBots originally delivered with blue legs ? 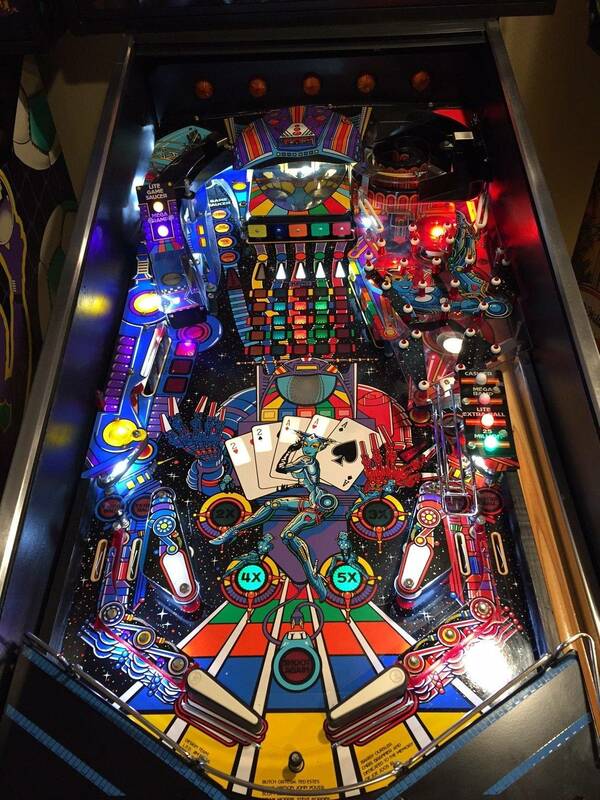 A guy on a forum says they were but I've never heard of it or seen one i.r.l. Can someone take a pic of the switch under the up/down ramp for me? 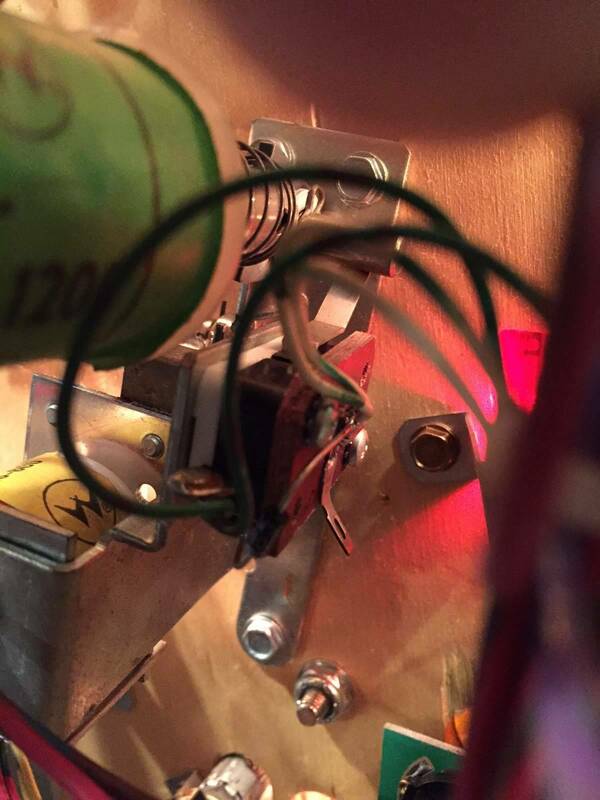 My ramp was stuck in the up position and when I looked under the playfield, the switch actuator was all mangled. I'm trying to bend it back into position but am unsure how it looks. Thanks. I've had my JB for about 9 months now and when I see pics of other JBs, only a few of them have the thin black edging around the cabinet like mine. It's not tape or anything. It feel like the regular part of the graphics. It's smooth to the touch in the transition from the black to the graphics and back. Anyone have any ideas? 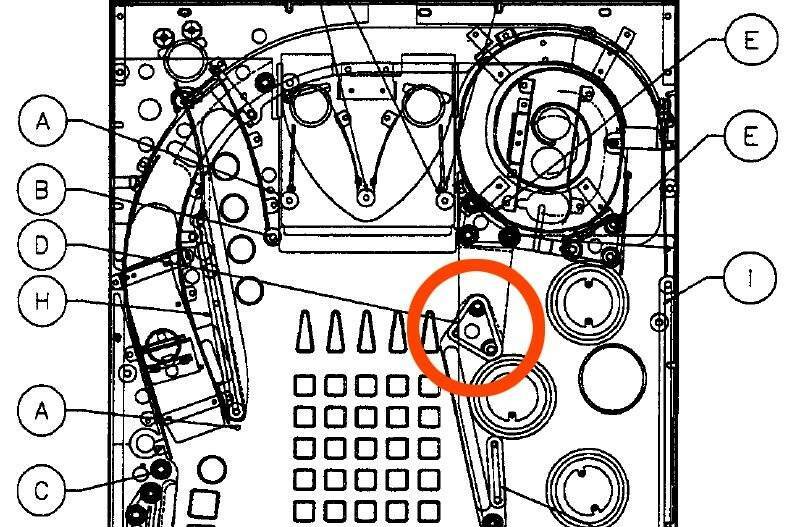 Maybe it was on the early or late pins built? Here's a few pics from both sides. I'm a card carrying member. It is underrated. I love Casino Run, and the gambling, all or nothing risk aspect of it. There is a lot to do if you read the rules. My Jackbot won't ever leave. Most people hate the music, but I like it. Thanks for the pics. The third one is the one i needed. I really enjoy this title as well. So my ramp was stuck in the up position. 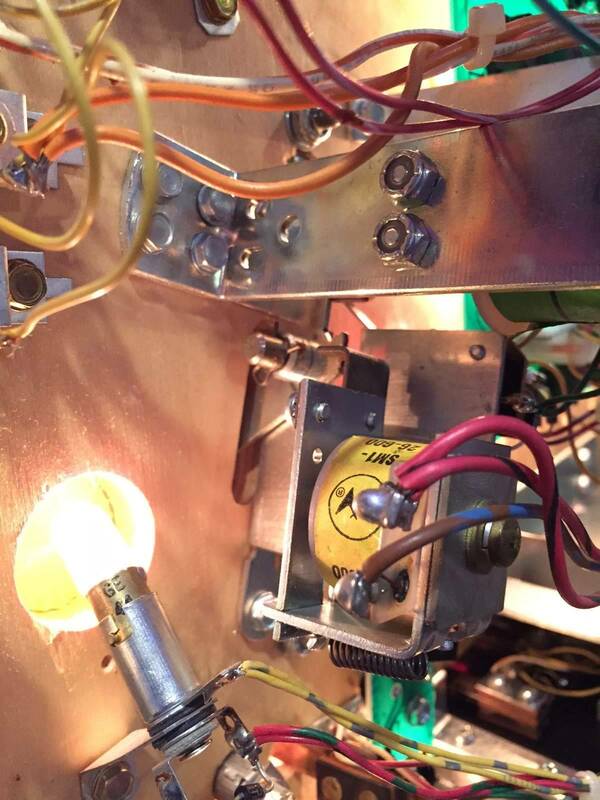 The switch actuator looked like it was tied in a knot when I lifted the playfield. After sorting out the switch and confirming it still worked i couldn't get the ramp to go down. I decided to tare it apart and clean it. The linkage that goes from the ramp to the plunger on the coil seemed to be a little stiff when I manually moved it. 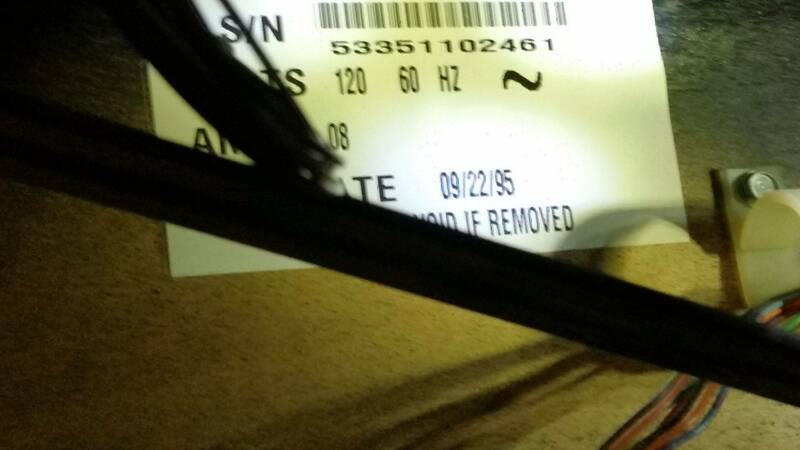 The factory grease that was on there had dried up and caused the linkage to stick. After cleaning it with rubbing alcohol, I re-greased it. I can't believe the difference it made. 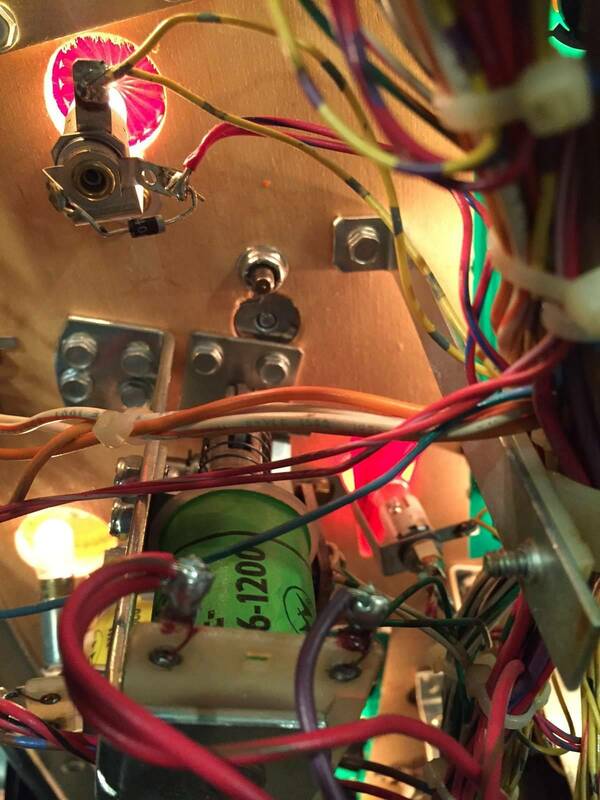 I gave the playfield a good cleaning with some CP-100 and man that game is fast now. Thanks again for the pics Chippewa. 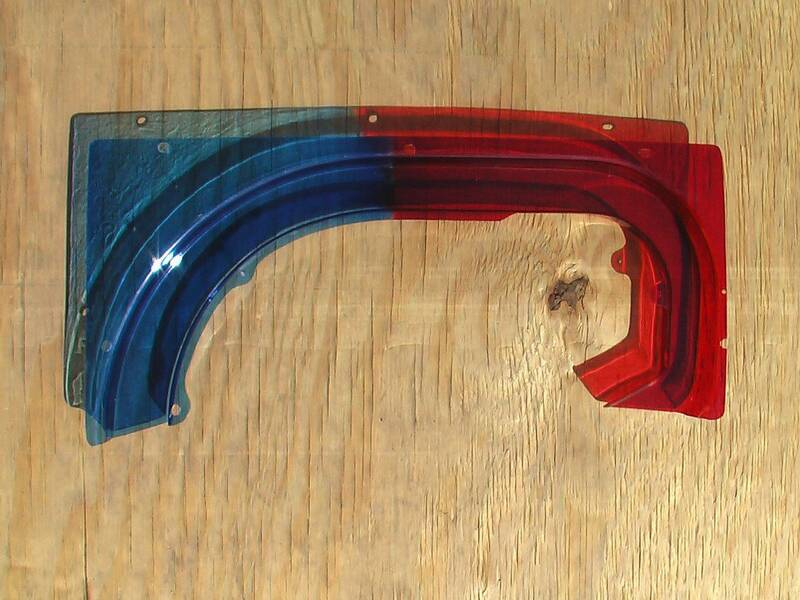 I am looking for the left ramp plastic (for lights). Anyone know of a source? My pleasure. Glad you're back up and fully functional! Just picked up one myself and did a fast tune-up on it and replaced the bulbs that were out. This thing is in mint shape with only one other owner. The other owner bought it new in 2000 still NiB. This machine sat in the same corner of a finished basement for the last 15 years and never moved. 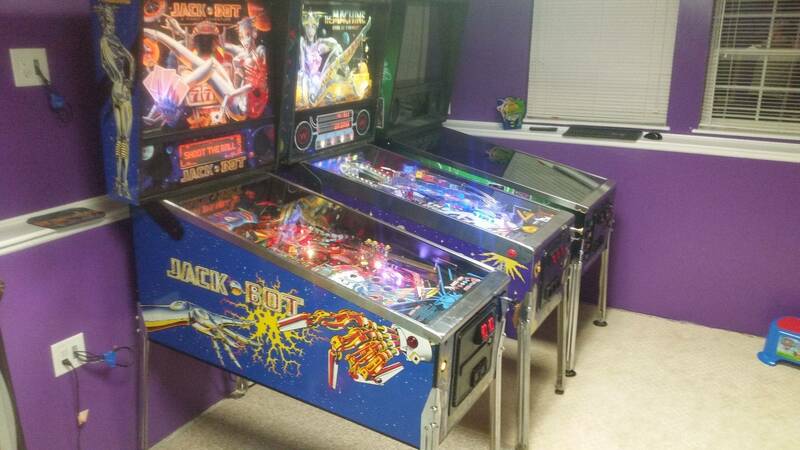 Adult owned and no kids this thing has almost no wear on it is in awesome condition. Wow, that's quite the find. Enjoy it! I think it's such an underrated DMD that you can get in the low 2s... amazing. Glad I have one. 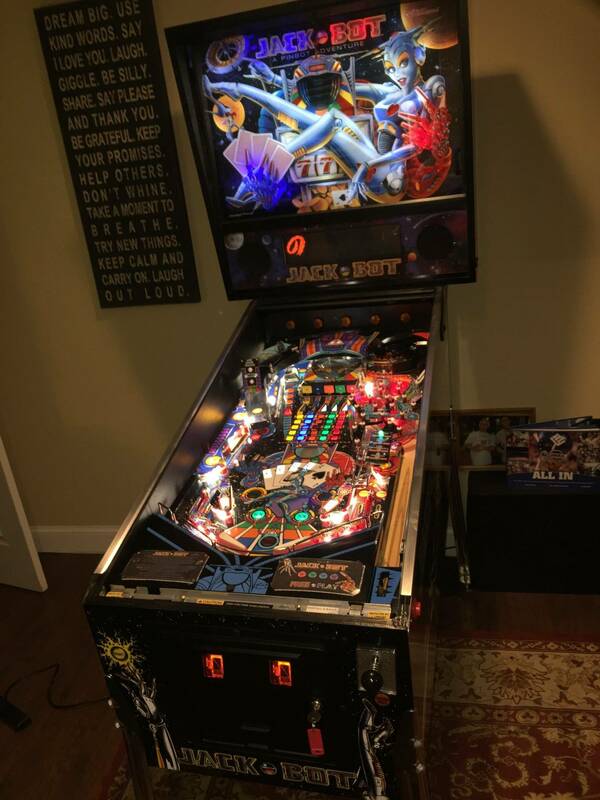 I sorta knew the owner (friend of the Wife) and I was able to score for much less ... I gave about 4 hours of labor fixing misc things around the house for them and then gave 800 cash. ... Funny story about how I ended up with it but short version ... 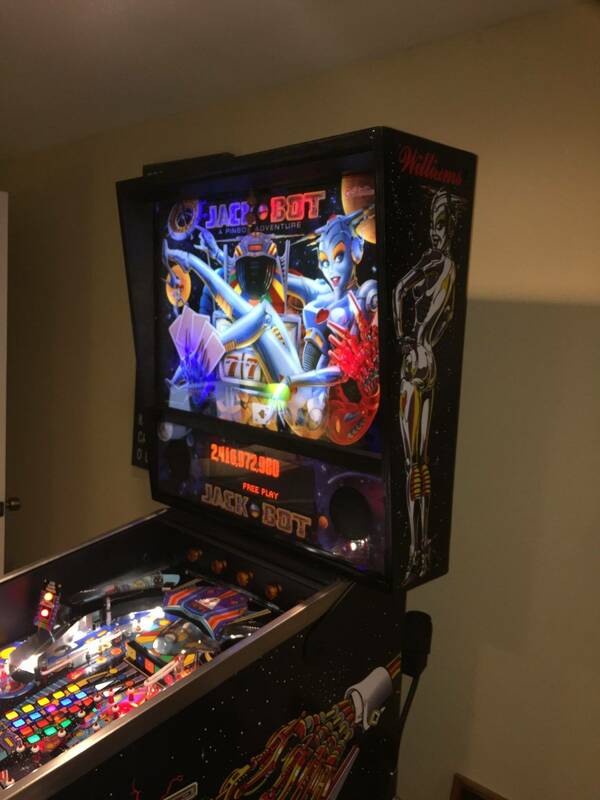 I found a BoP, (My First real Pin) made the deal and drove 5 hours to get her. A week after I had BoP and working on her (she needed lots of TLC) my wife texts me and says I have a surprise for you. "You remember so and so? 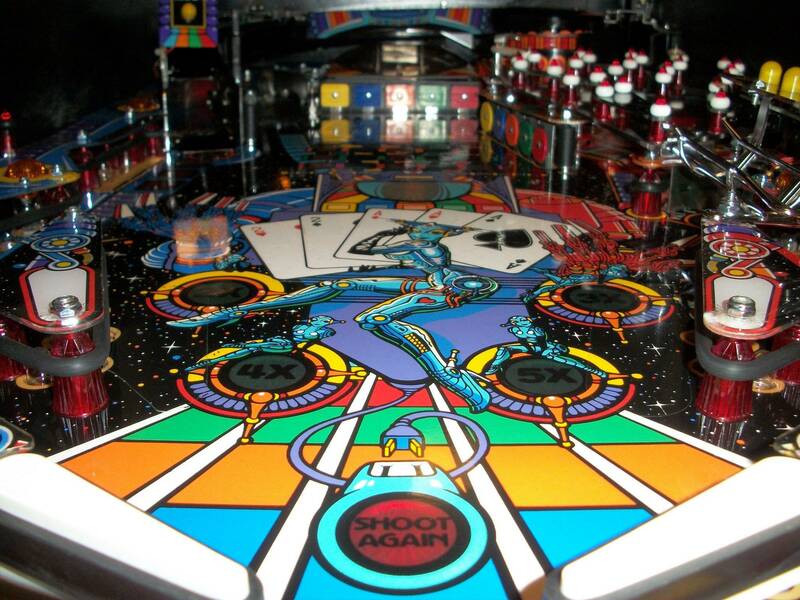 Well they are splitting up and have a pinball they want to sell and you will never guess what one ..... Jack*Bot!" So a week later I went over and made a deal for 1500. 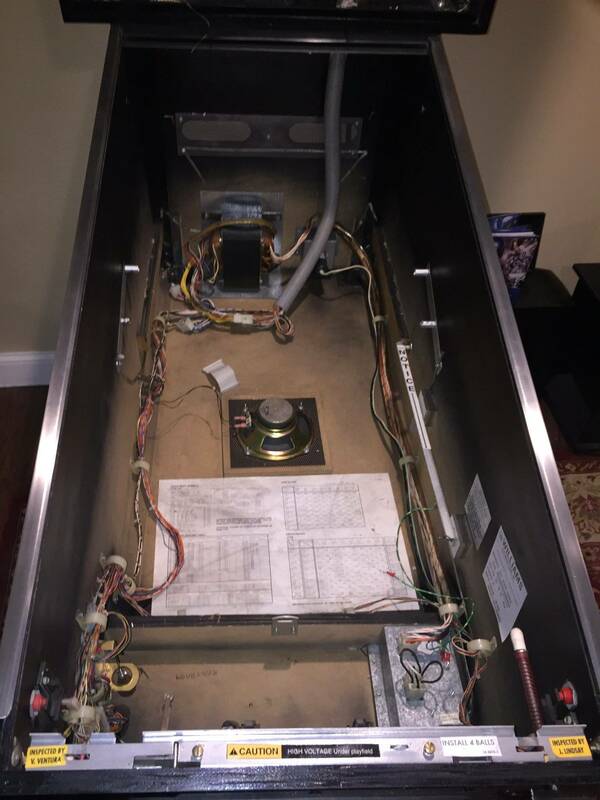 One thing led to another and being the handyman type of person I was able to trade some labor towards the price, when I went to pick it up Final price was 800 cash ..... Score of a lifetime! Here is my fine example. Very, very nice and even nicer price! 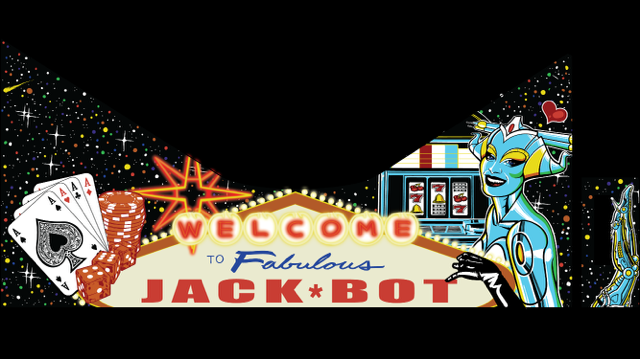 As of tonight I am a member of the Jack*Bot Club!! Good looking one for sure Silvercoin .... Enjoy it as I know it is popular with everyone that plays it here ... including my kids. 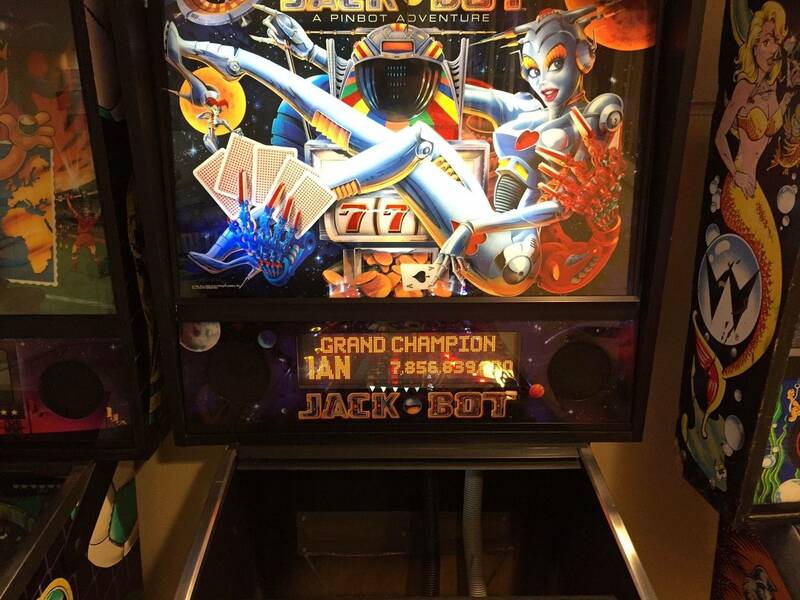 There has to be more Jack*Bot owners here .... it is a great game .... 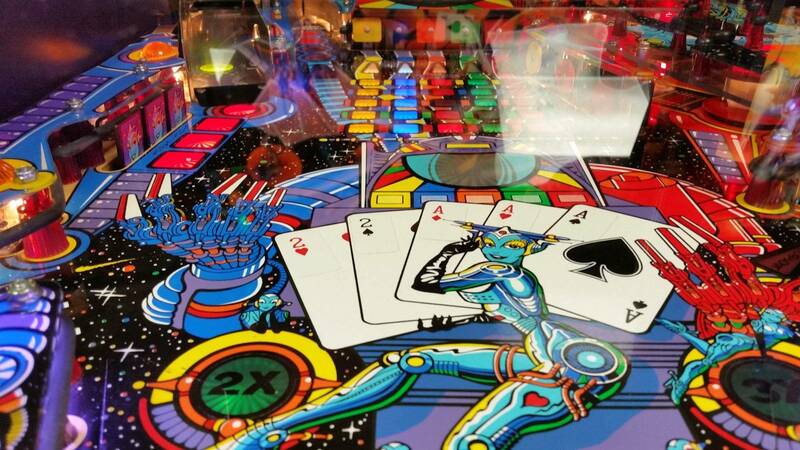 I was playing Pinbot on location just yesterday and thinking the whole time 'man, Jack*Bot is soooo much better in looks and gameplay' I am glad I own one. I was wondering that also.. I know they only made like 2500 of them, but there has to be more of us online! Weird thing when I was looking for mine, there were 4 for sale to pick from in my area?? I'm so envious of the photos I see with the bright red's and yellows on the cabinet; mine is so badly faded. 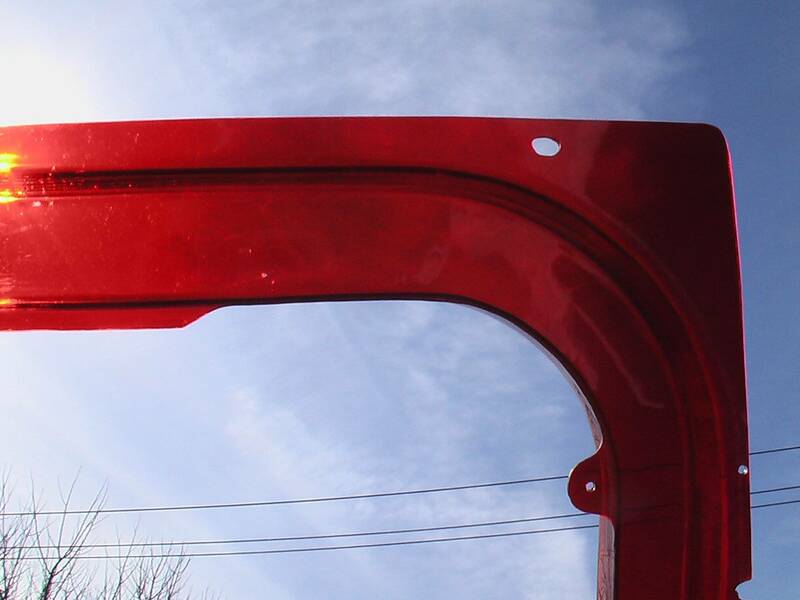 Does anyone have a source for cabinet scans to make replacement decals? I know nobody sells them currently. Bump!! Don't we owners have more to talk about?? See post #17. Would love to know why some cabinets have black edging around them and some don't. Good question, as mine does not have that edging. Mine is a re-import though... if that helps? Hmm. Maybe you're on to something. Does anyone have a domestic JB that doesn't have the black edging? 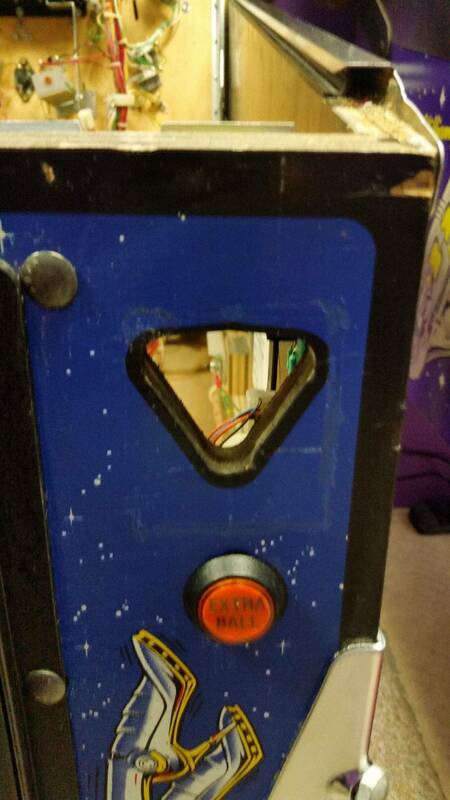 I had to replace the plunger that was in my JackBot with the correct round plunger and even under the plunger housing is the black edging ... buttons also. Could yours be a re-import or a sample? How do I stay on this feed? I have a jackbot with a wpc95 board. 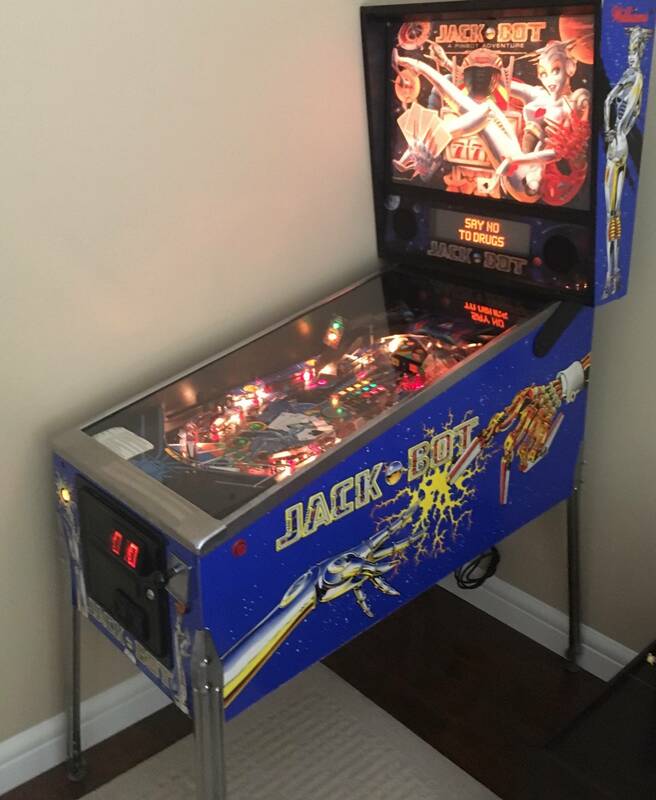 Play field is fine but cabinet sides are in horrible shape, so I am also wondering if anybody knows when side decals can be purchased? I dont think they sell them for Jackbot, but not 100% sure, probably something you would have to get made. There were only 44 made after mine, im#2384, and there was 2428 made. Also mine is a domestic WPC-S. Maybe they stopped the black edging in the later models. 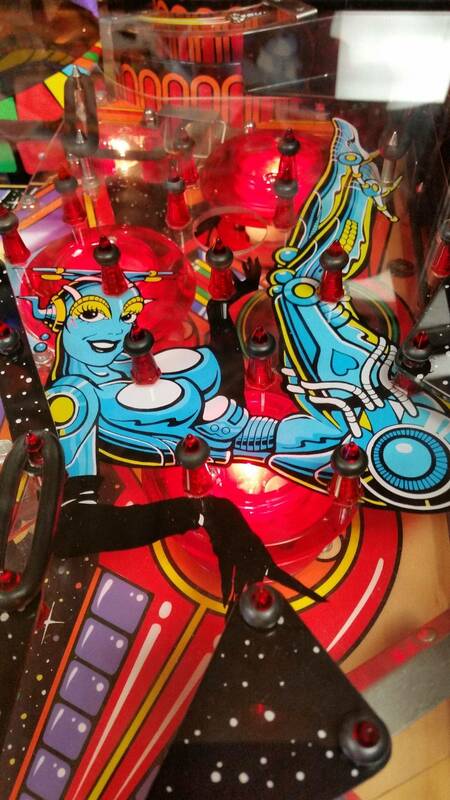 Les did yours come with black rubber on the upper playfield? Or is that something you did yourself? 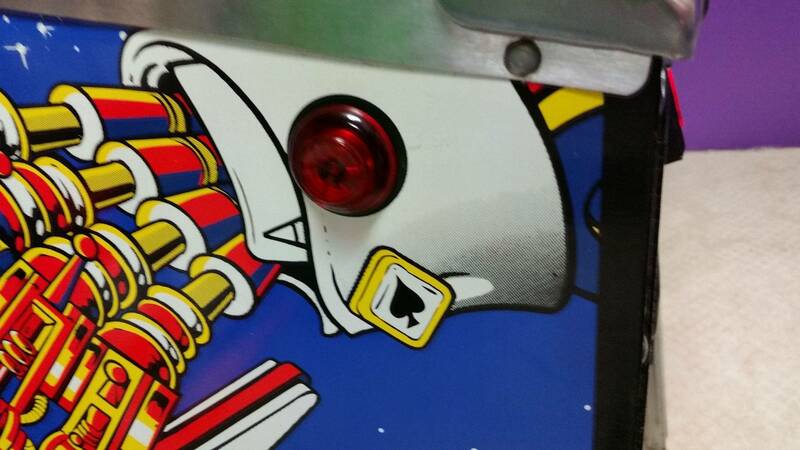 My upper playfield is all white rubber. No mine came with the black rubber installed ... not sure if they were original or something that was put on by someone else .... the people that owned it before me had it for 15 years and they got it "new in the box" in early 2000 the distributor that had it must have took it apart to wax it up and never got it back together correctly. 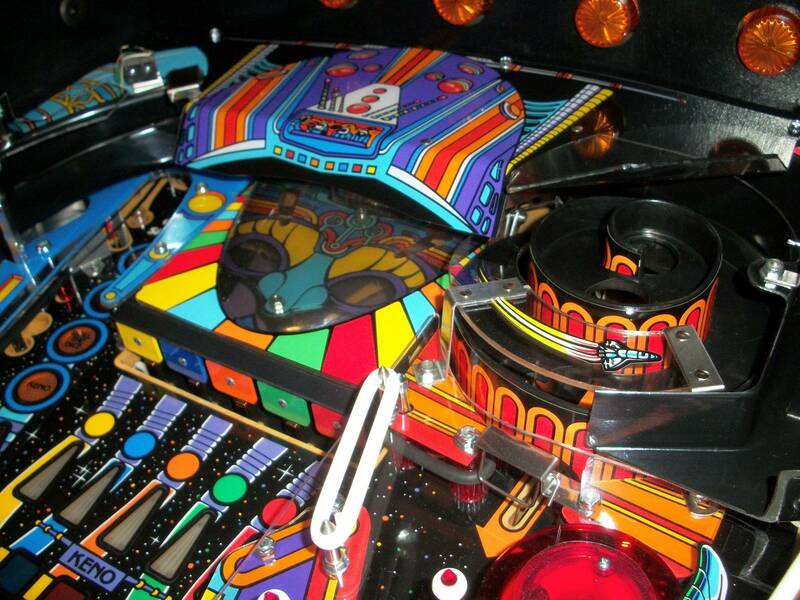 It was having issues with the skill shot ramp and loosing balls in that back corner ... the people before me did not know that you could even pull the playfield out on the tracks, they were not mechanically inclined, to put in mildly. I found 6 extra balls in that back corner .... all they knew how to do was add more balls and change that batteries. It had a different shooter rod and stronger spring (trying to compensate for the bad reassembly) and also had spacers / washers behind the shooter rod housing trying to align it. 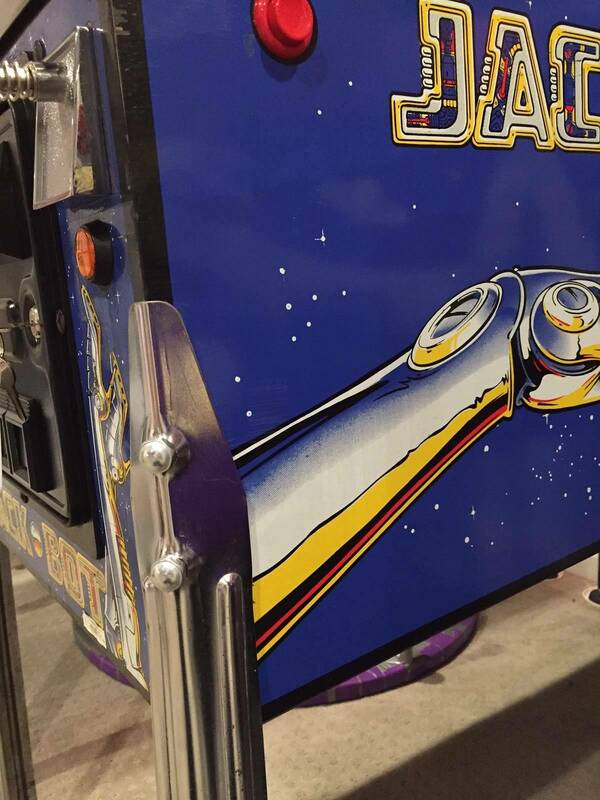 The flaps of the metal ball guide and skill shot ramp were misaligned and then the upper play field ramp was spaced up too high and allowed the balls to collect behind that area. 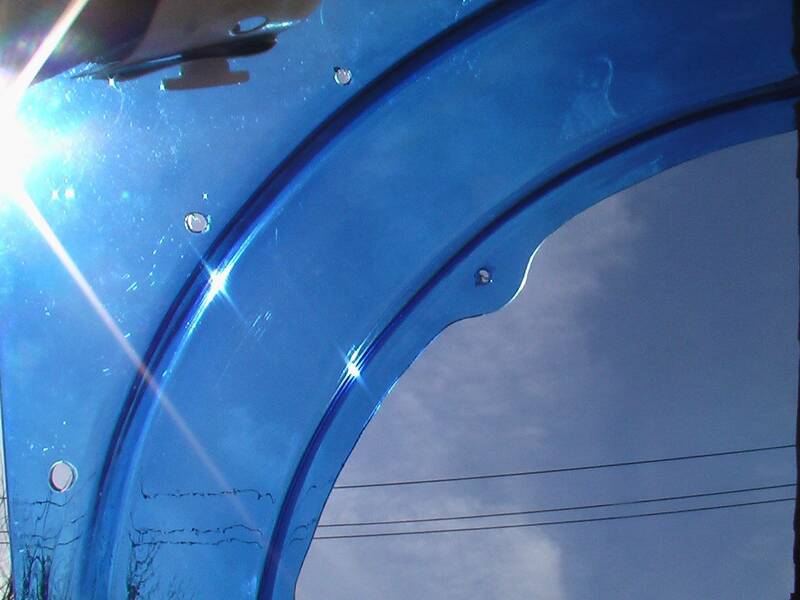 The plastic cover for the skill shot ramp was not spaced correctly either and unless the ball went through there perfectly it would not go any further than the first hole. I took it all apart to fix these issues and noticed there had been wax applied poorly to parts that they would not have been able to reach without taking it apart. 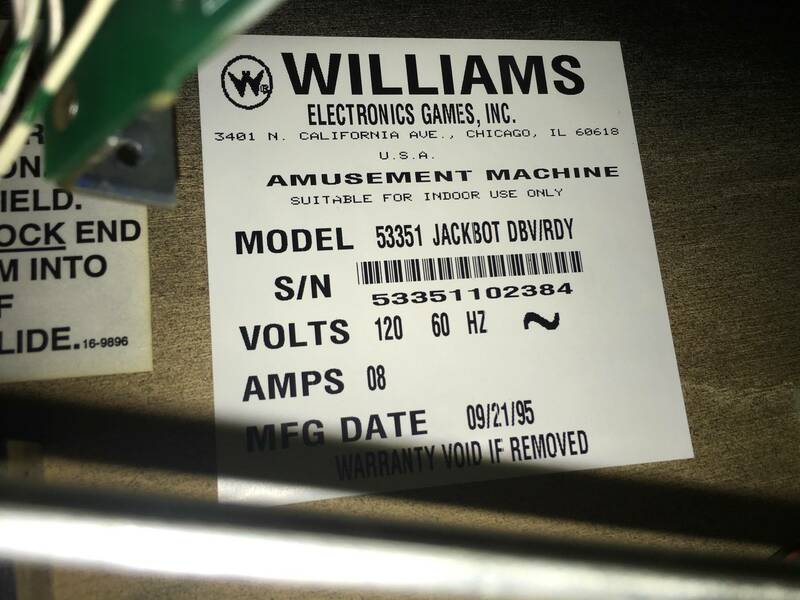 The previous owners had not done anything to the machine including moving it from where it was originally placed in 2000. Just last weekend I got around to putting on the rubber kit and while I did that I also put on my Black Chrome vinyl wrap on the sides and back flasher panel. I was really waiting for a oem manual so I could put it back together correctly. I made sure I had the white rubbers where they needed to be with the manual as my guide. 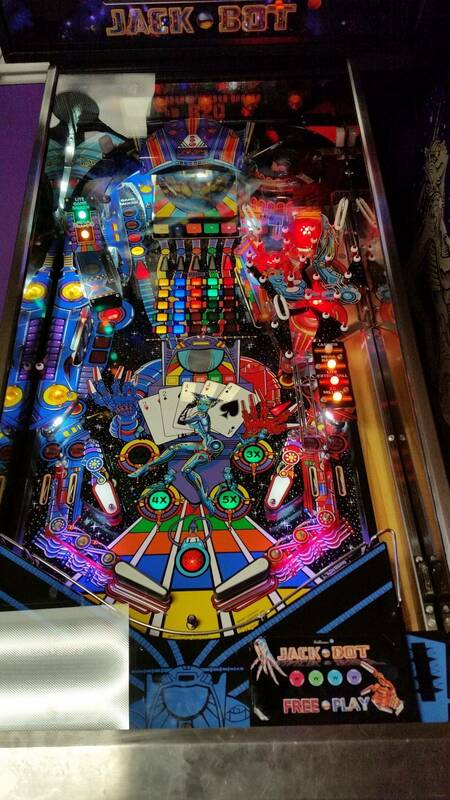 I was going off the "Internet Pinball Machine Database" and it says production: 2428 (confirmed). Maybe thats just for WPC-S? Haha yeah yours was made the day after mine, pretty kool.